Federal and state regulations, as well as institutional policy, require that a student maintain satisfactory academic progress (SAP) towards their degree in order to receive financial aid. To measure progress, Student Financial Services evaluates a student’s academic record at the completion of each academic year, reviewing both the quantitative (the maximum time frame and completion rate) and the qualitative (cumulative grade point average) as a student pursues her/his degree. Failure to meet these standards will result in the suspension of financial aid eligibility, which may include federal, state and institutional aid. *Summer Semester: Credit hours attempted during the summer semester will be included in the calculation of SAP standards just as any other period of enrollment. Completion Rate: Students must maintain a minimum course completion percentage for progress each academic year of at least 67%. This is calculated by dividing the number of credits earned by the credits attempted. Credits transferred from another institution count towards attempted and earned credits. Maximum Time Frame: Per federal guidelines, the maximum time frame for program completion for federal Title IV funds is defined as 150% of the credits required to complete the degree or certificate program as defined by Cedar Crest. (For example: Bachelor of Science in Criminal Justice= 120 credits x 150%= 180 credits. 180 credits is the maximum that can be attempted with federal Title IV funds.) The maximum credit standard for graduate degree programs are based upon the minimum program credit requirements published in the Cedar Crest College Graduate Catalog. Cedar Crest College funded aid is limited to a maximum of 10 full-time semesters. The maximum number of credits allowed will be based upon the credit maximums for a single degree, even when a student is pursing more than one major at one time or there is a change of academic major. Repeated Coursework: Students may repeat a previously passed course one time if a better grade is required for the major/minor and maintain financial eligibility, assuming all other academic progress requirements have been met. Repeated course work counts toward the 150% completion time frame. Transfer Credits: Credits transferred from another institution count towards attempted and earned credits. Audited Courses: Students do not earn any academic credit for audited courses. They do not count in the calculation of attempted credits. Pass/Fail Courses: These courses count in attempted and earned credits. Withdrawals: These are counted as courses attempted and count toward the maximum time frame. The qualitative requirement establishes a minimum cumulative grade point average for all students to reasonably progress through their program of study. The following chart identifies the minimum standards required for students to achieve and maintain satisfactory academic progress for undergraduate and certificate programs. Graduate programs require a minimum 3.0 GPA. Cedar Crest Academic Scholarship Recipients: Students who are recipients of Cedar Crest College merit scholarships and awards must maintain full-time enrollment and GPA standards of the specific scholarship to maintain award eligibility. Students should refer to the merit scholarship and awards section of the specific Cedar Crest Course Catalog they enrolled under (year admitted to the College) for more details. Students who fail to meet the Satisfactory Academic Progress Standards will lose their financial aid eligibility immediately. They will be notified in writing by Student Financial Services. Students may reestablish eligibility by successfully completing the required number of credits and/or by attaining the overall required grade point average by the end of the next semester without receiving financial aid. If the student fails to meet the maximum time frame standards, the student will not receive any additional financial aid for the remainder of their degree. As a part of the appeals process, the student must provide information about why she/he failed to maintain SAP standards, and what has changed in the student’s situation that will allow her/him to demonstrate satisfactory academic progress at the next evaluation. Meeting with an academic advisor (Academic Services) to create an academic plan may be required. Appeals are evaluated by the Financial Aid Appeal Committee. Students should make payment arrangements if necessary while waiting on the Committee’s decision if necessary. The student will be notified of the Committee’s decision in writing. The decision of the Committee is final. There is no secondary or director appeal process. If an appeal is denied, students can only be reinstated for aid eligibility if they satisfy all deficiencies. If an appeal is approved and the student does not fulfill the conditions of his or her probation or academic plan, the student will not be eligible for aid for any future semesters during their academic career unless the student satisfies all academic deficiencies. *Please note that any appeal granted by Cedar Crest College to its Satisfactory Academic Progress Policy is not applicable to the Pennsylvania State Grant program. A separate appeal process must be completed directly with the Pennsylvania Higher Education Assistance Agency State Grant Division. Students who have had an appeal approved will be placed on probation for one semester and will have their financial aid reinstated for the probation semester. If the student fails to maintain the SAP standards at the end of the semester, she/he will lose financial aid eligibility until SAP standards are met. If a student on financial aid probation meets the terms of the probation, the student will be permitted to continue to receive financial aid for a subsequent semester. If a student does not meet the terms of the probation, the student will lose eligibility for financial aid at that time. Financial aid eligibility may be reinstated after a student meets the SAP standards, quantitative and qualitative, as defined above. Students who retain eligibility by completing required coursework must notify the Student Financial Services in order to have their progress reevaluated, and financial aid reinstated. *It is the student’s responsibility to inform Student Financial Services of all grade changes (ex. From “I” to “B”) to ensure that the SAP status is reviewed. Students must use the College’s published requirement for notification of withdrawal in order to be subject to the College’s refund policy regarding tuition/fees/other charges. 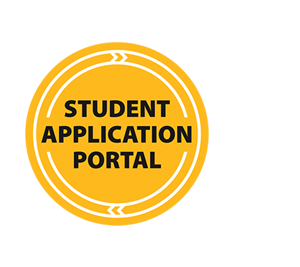 Information about withdrawal procedures can be found in the Academic Policies and Services section of the catalog or by contacting the Registrar’s office or Student Financial Services. It is a student’s responsibility to notify the College when it is necessary to withdraw from course enrollment (from individual courses or from all courses) for any reason. Withdrawal or Leave of Absence Notification can be made through the Registrar’s link at My.CedarCrest.edu on the College’s student web information system. Students must have a valid User ID and password to access this function. For additional information regarding Withdrawal or Leave of Absence procedures, please refer to the Academic Policies and Services section of the catalog. Students who withdraw from all courses during a semester or session, either by official notification to the College, or by failing to remain enrolled in courses as expected without notification to the College are considered to have Withdrawn/Separated from the College and are subject to the Financial Refund Policy for Students Withdrawing/Separating from the College. If a student is withdrawing from individual courses during a semester, but will continue to be enrolled in remaining courses, or receives a letter grade for any course that session, they are not considered to have withdrawn or separated from the College and may be subject to a refund of individual course charges under the Financial Refund Policy for Students Withdrawing from Course(s). Assistance with the withdrawal process can be obtained through Academic Advising, the Registrar’s Office or Student Financial Services. Resident students must notify the Director of Residence Life whenever they plan to vacate a residence hall prior to the end of their contract period. Students who are withdrawn from the College or from housing for disciplinary reasons are not eligible for any refund, except pro-rated board, unless required by federal, state, or other regulations. Students withdrawing from the College (or from all classes) after the first day of the semester, but prior to the 60% point of the semester, will have all tuition, fees designated as refundable, and financial aid (federal Title IV funds, state funds and institutional aid) pro-rated based on the number of calendar days remaining in the semester. Calendar days are calculated as the number of calendar days completed out of the total number of calendar days in a semester, excluding scheduled semester breaks of five days or more. After the 60%point of the semester, no adjustment to tuition, fees or financial aid will be made. Resident students will receive a 90% refund if terminating their housing contract within the drop/add period (first week of the semester). After the close of the drop/add period, no refund of room charges will be made. Board charges (meal-plans) will be pro-rated to the 60%point of the semester and a pro-rata refund will be issued to the student. There is no refund of the Resident Communication Fee after the semester begins. Title IV financial aid recipients will have the unearned portion of financial aid (grants and/or loans) returned to the Title IV funding source, in accordance with the federal Return of Funds policy governing Title IV assistance. Recipients of Title IV financial aid who are subject to a calculation of eligibility after withdrawal will have funds returned to Title IV programs in the following order, as applicable: Unsubsidized Direct Stafford Loan, Subsidized Direct Stafford Loan, Perkins Loan, Direct PLUS (Graduate Student), Direct PLUS (Parent), Pell Grant, FSEOG, TEACH Grant, other Title IV assistance. Detailed Title IV policy regarding the adjustment of federal financial aid funds is available by request through Student Financial Services. Student Financial Services will review requests, from otherwise dependent applicants, to be considered independent for federal and institutional assistance on a case-by-case basis. Federal regulations require that a student be able to answer “yes” to one of the following questions found on the Free Application for Federal Student Aid (FAFSA) in order to be considered independently of parental information when applying for financial aid. You may be required to provide proof to Student Financial Services if you answer “yes” to certain questions in this section before you will be considered independent for financial aid. Will you be 24 prior to January 1 of the current award year? Will you be working on a master’s or doctorate program (such as an MA, MBA, MD, JD, PhD, EdD, graduate certificate, etc.) in the coming academic year? Are you married (also answer “yes” if separated but not divorced? Do you have or will you have children who will receive more than half of their support from you (please refer to FAFSA you are completing to find out specific date range for this question)? Do you have legal dependents (other than your children or spouse) who live with you and receive more than half of their support from you (please refer to FAFSA you are completing to find out specific date range for this question)? Did your high school or school district homeless liaison determine that you were an unaccompanied youth who was homeless or were self-supporting and at risk of being homeless (please refer to FAFSA you are completing to find out specific date range for this question)? Did the director of an emergency shelter or transitional housing program funded by the U.S. Department of Housing and Urban Development determine that you were an unaccompanied youth who was homeless or were self-supporting and at risk of being homeless (please refer to FAFSA you are completing to find out specific date range for this question)? Did the director of a runaway or homeless youth basic center or transitional living program determine that you were an unaccompanied youth who was homeless or were self-supporting and at risk of being homeless (please refer to FAFSA you are completing to find out specific date range for this question)? Student has voluntarily or involuntarily been removed from the parents’ home due to an extreme situation that threatens the student’s health and/or safety. Incapacity of parent(s) in cases such as imprisonment, mental or physical illness or the inability of the student to locate parent(s). Other extenuating circumstances that can be sufficiently documented. Unusual expenses related to personal living (e.g. wedding expenses, credit card bills, home mortgage or school loan payments, car payments, legal expenses, other miscellaneous consumer item expenses). One year bonus incomes such as lottery or gambling winnings, pension payments.